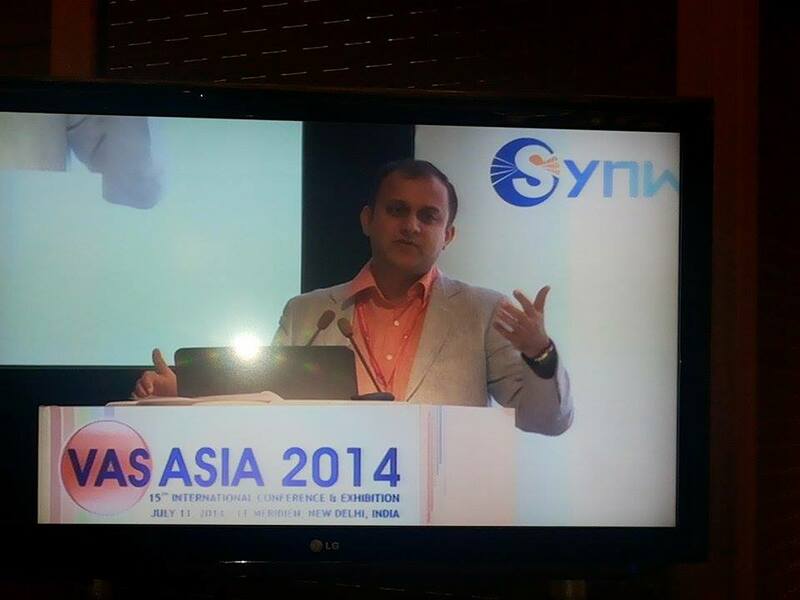 New Delhi, India, July,11th ---As a world-leading manufacturer and supplier of VOIP products and solutions, Synway showcased its latest integrated gateway SMG and multimedia switch SPBX at VAS ASIA2014 this July, arising great hit to India VAS market. What deserved special attention at the site was Synway SMG Gateway. Based on decades of expertise in voice technology, the SMG gateway is designed especially for telecom operators, system integrators as well as enterprises to move VoIP applications effortlessly and economically. Featuring Telco architecture, the SMG gateway family has been widely applied for stringent and highly demanding VoIP systems for finance, insurance, manufacturing, logistics transportation etc. Ever since the year 2005, Synway has been focusing on the development of overseas market. Synway’s multimedia switch and many other products have won consistent approval by worldwide customers with superior features such as large capacity, high stability and low power consumption. With a wide range of partners from South Korea, Hong Kong, Singapore, India, America, Mexico as well as other countries, Synway has established a complete sound telephone and network marketing system. Adhering to the principles of “Integrity, Cooperation, Win-win”, Synway is always open to build long-term partnerships with friends coming afar and offer products and services tailored to customers’ needs. Synway is a leading global communication solutions provider. Through our dedication to customer-centric innovation, we have established end-to-end advantages in telecom networks. For two decades, Synway has been specialized in providing superior Multimedia Gateway, Integrated Multimedia Switch, Telephony Hardware in use for Telecom communications. With products and solutions deployed in over 140 countries, we are committed to creating maximum value for consumers by providing value-added services. As Asia's largest convention on the business of Mobile Value Added Services in 4G Ready India, VAS ASIA has played a significant role in communications field and won overall recognition from manufacturers, operators, professionals as well as the mainstream media.